In those hot summer days, moths swiftly multiply among the wool winter clothes you crawled in the closets. In a few weeks, they will infiltrate your wardrobe and attack your favorite blouses or dresses if you don’t get rid of them quickly. Moths prefer natural fabrics such as wool or cotton, but also fur collars or hats. But most of all, they prefer the clothes where our smell and sweat was doused. So, wash your clothes thoroughly before placing them in the closet and send coats and thick winter clothing to dry cleaning to be sure they are not infested with moth eggs. I’ve learned from my grandmother that the most effective moth poison is month balls. But you have to be careful because it smells ugly, and it’s particularly toxic, and doesn’t have to reach children. Additionally, month powder discolors fabrics if it is sprinkled directly on the clothes. Nowadays, month balls are recommended only in case on a month invasion, because there are other less dangerous solutions to get rid of these ugly months. – You can place in every closet corner lavender sachets, because moths hate the lavender smell. 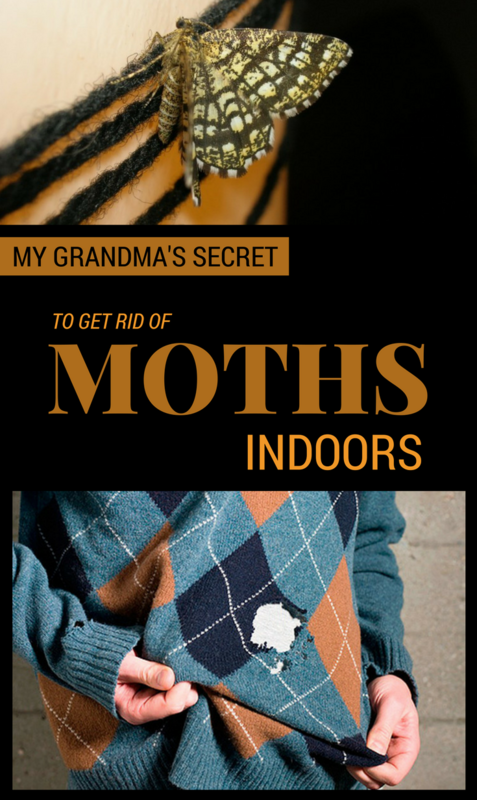 – Another way to keep moths away from your clothes is rosemary, mint or pepper. Moths hate the smell of it, and won’t touch your clothes. Just place in your closets some dry leaves of these aromatic plants or black pepper grains in slim sachets. Also, you can put these sachets between your clothes. Mixing these aromatic herbs and black pepper between your clothes will give a pleasant non-toxic fragrance.